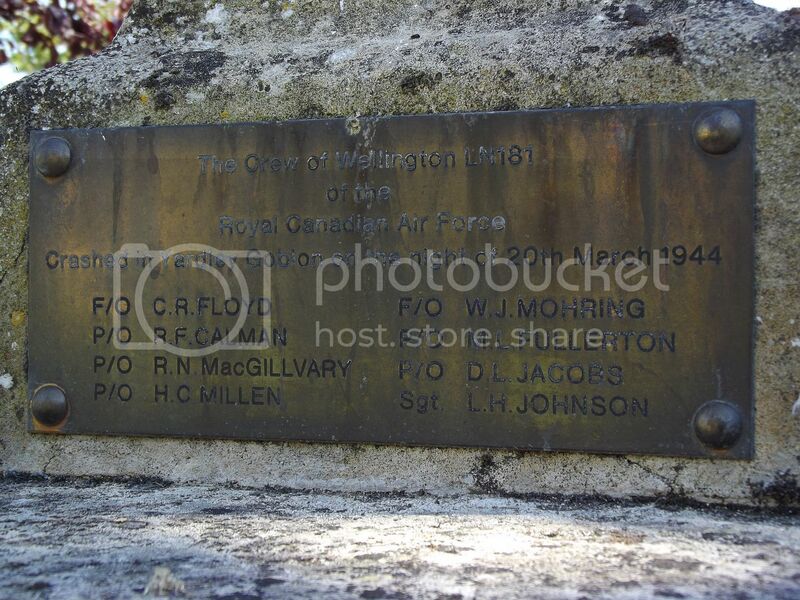 Wellington Bomber Crew Memorial. RCAF. Yardley Gobion, Northamptonshire. Discussion in 'War Cemeteries & War Memorial Research' started by Little Friend, Jul 19, 2016. I took these today at St Leonard's church, Yardley Gobion. The plaque is already well weathered. Wellington X LN181 of 82 OTU took off from Ossington for a night cross-country exercise. Power was lost from the port engine and upon entering cloud the aircraft went out of control and crashed 2250/2300 hours at Yardley Gobion 11 miles south south east from Northampton. Harry Ree, CL1 and dbf like this. Called there again yesterday and cleaned it up a bit. Harry Ree, Deacs, alieneyes and 3 others like this. I am sure the families would want to thank you for cleaning the plaque. Just picked up this post. 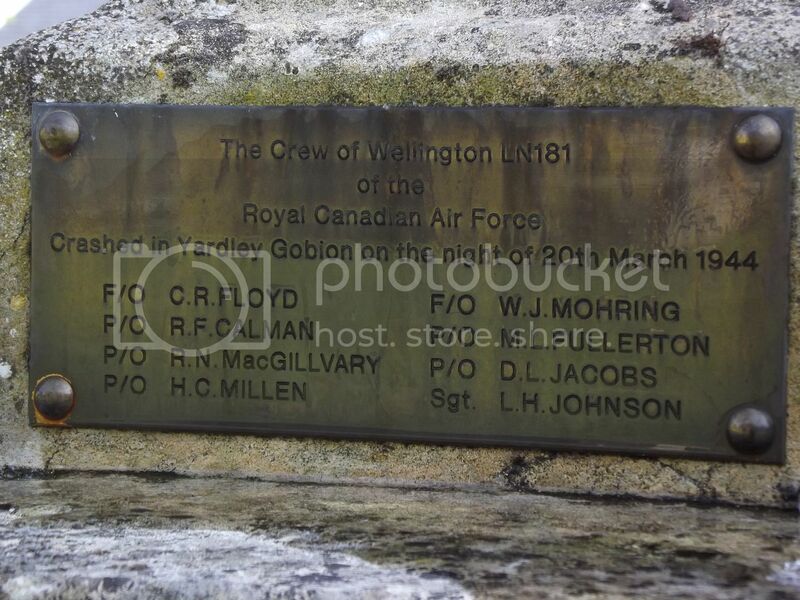 Wellington "Z" from Ossington, pilot F/O Floyd crashed near Silverstone with the loss of all crew members. 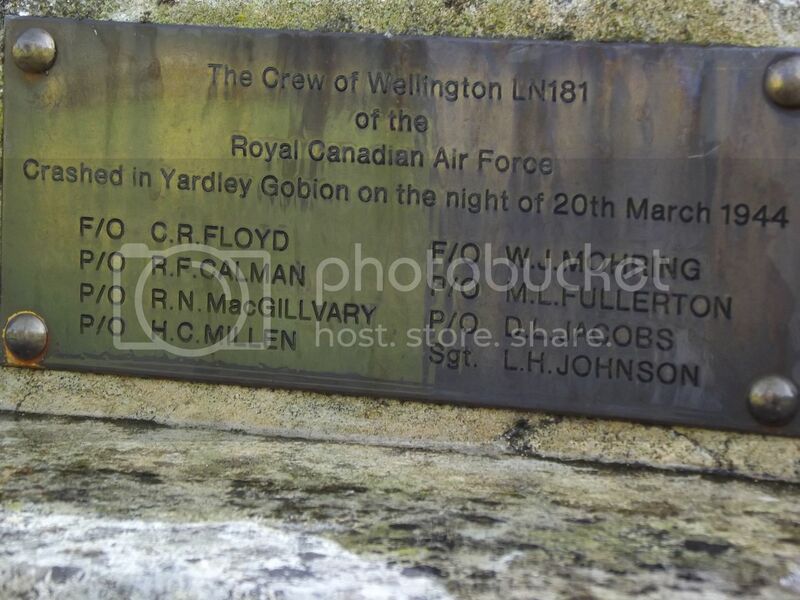 Wellington LN 181 crashed at Yardley,all crew members being killed. 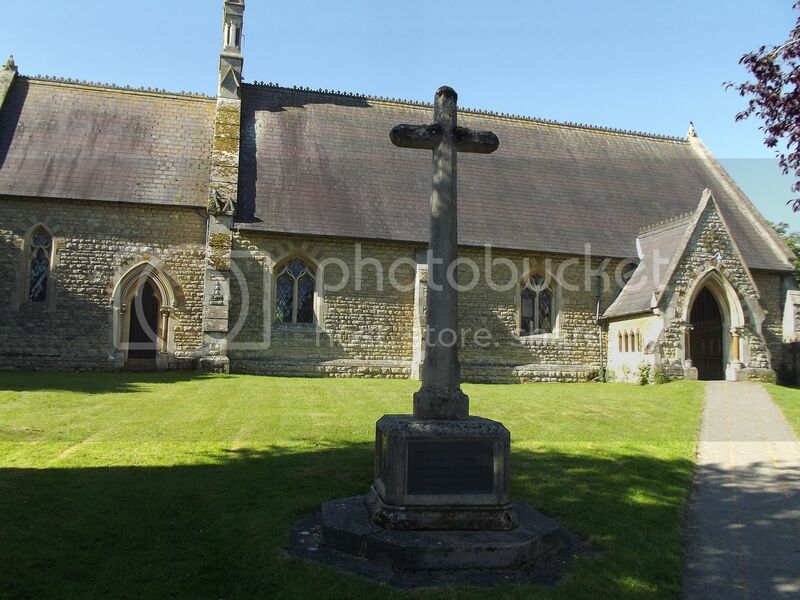 The funeral of F/O Floyd and crew who were killed at Silverstone on 20th March took place at Brookwood Cemetery. Stay up to date with all our exciting projects by giving us a 'Like' on Facebook. 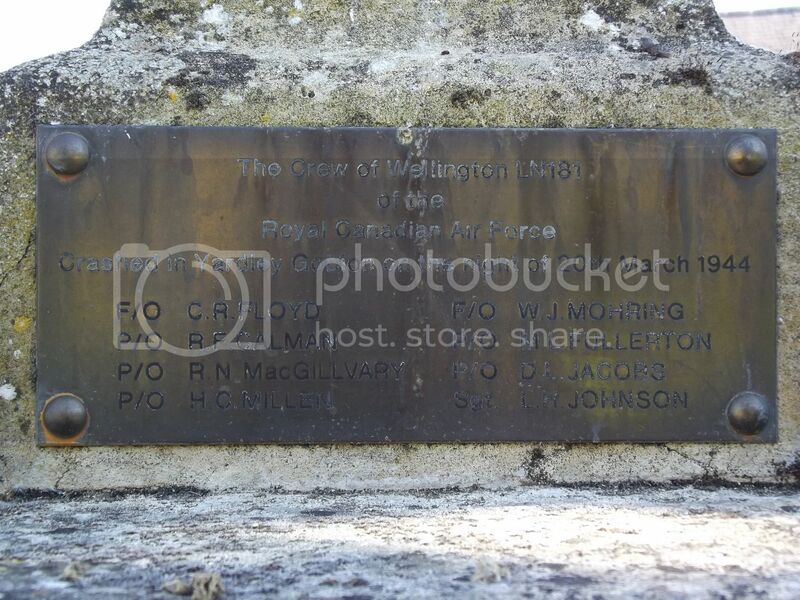 and post 7 - Wellington Bomber Crew Memorial. RCAF. Yardley Gobion, Northamptonshire.